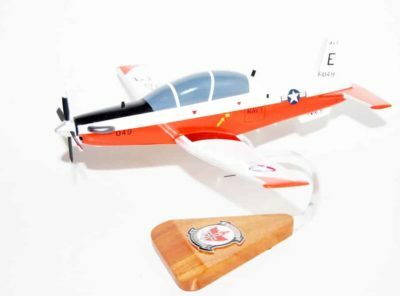 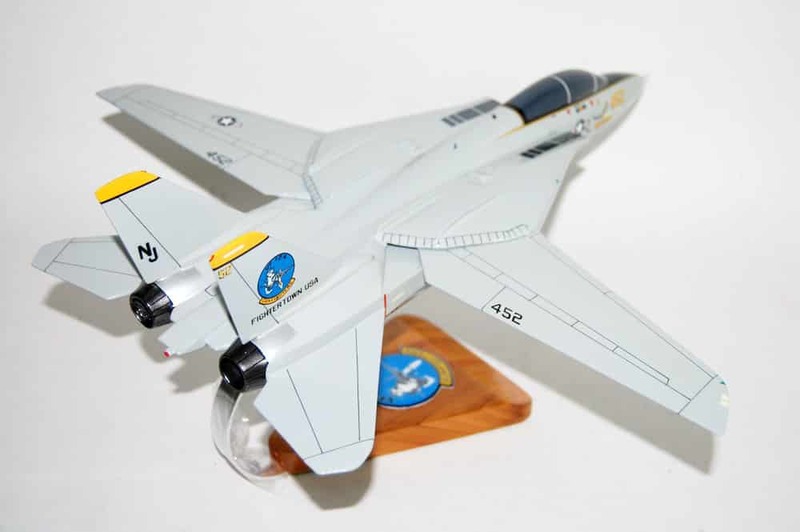 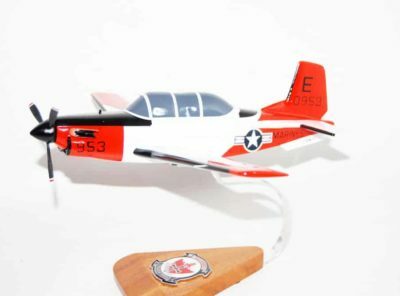 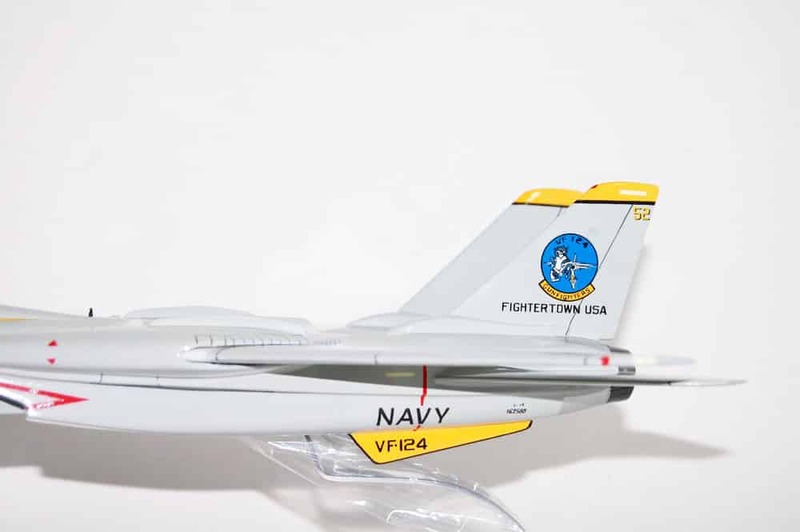 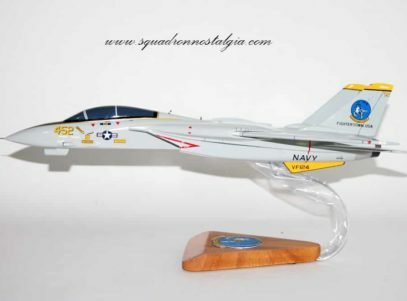 Relive flying one of the greatest Navy fighter jets in this carefully carved and painted F-14a model of the VF-124 Gunfighters. 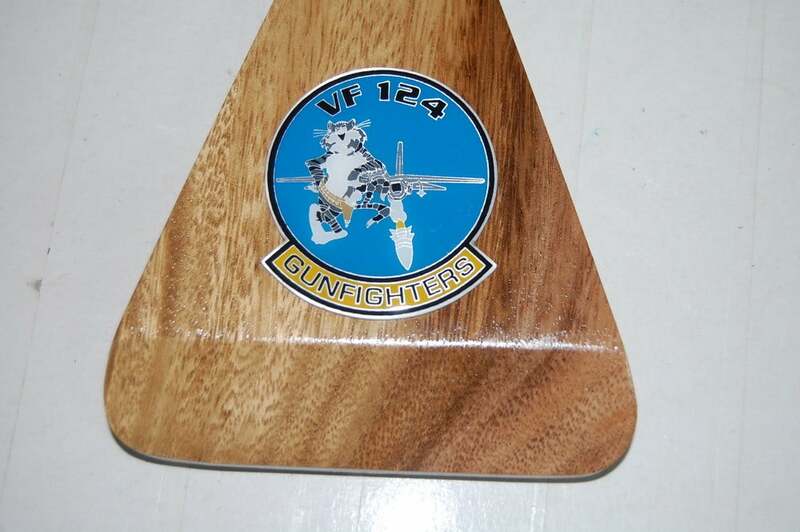 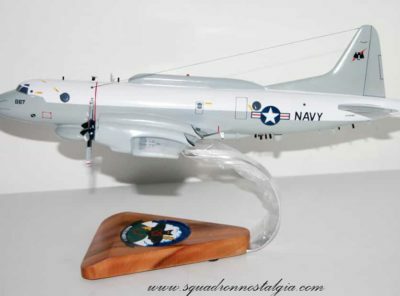 Fighter Squadron 124 or VF-124 Gunfighters was a fleet replacement squadron of the United States Navy. 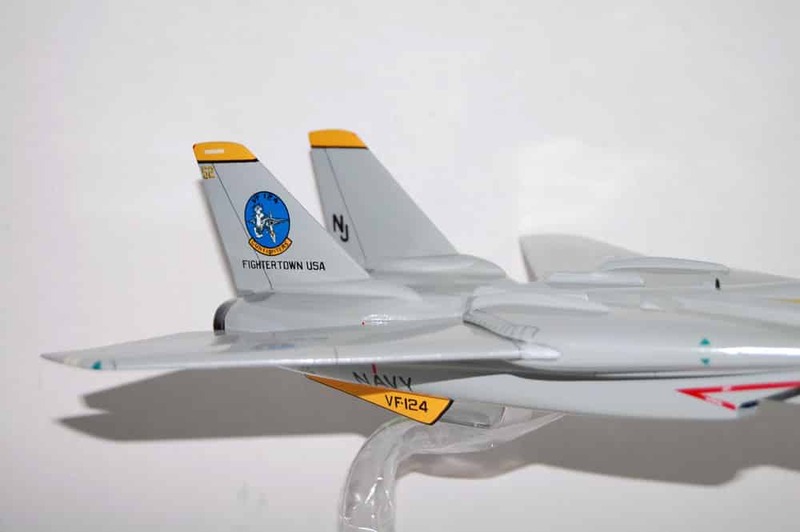 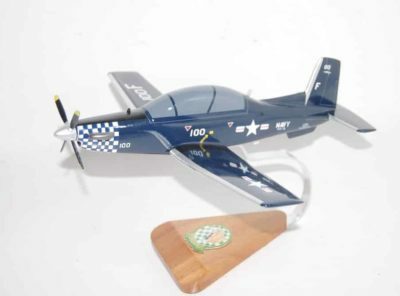 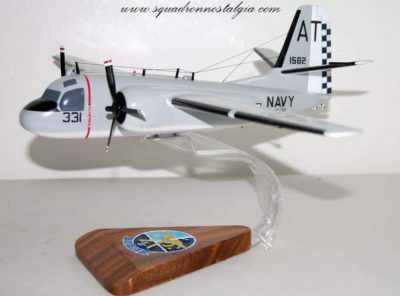 Originally established on 16 August 1948 as VF-53 it was redesignated VF-124 at NAS Moffett Field on 11 April 1958 due to a need for an increased number of flight training squadrons, itself necessary because of introduction of swept wing fighters into Navy service. 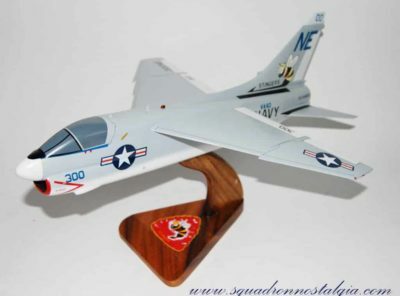 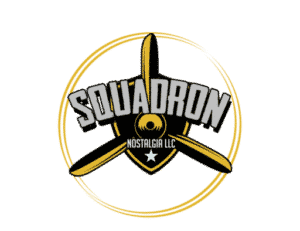 The squadron’s task was the training of pilots for the F-8 Crusader and later the F-14 Tomcat. 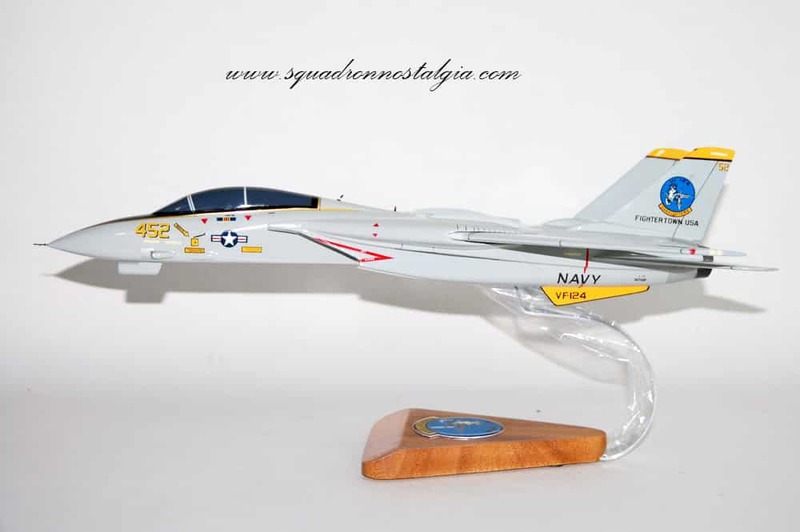 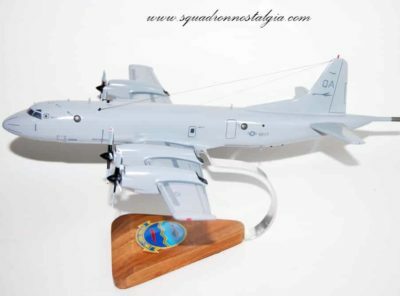 The squadron was disestablished on 30 September 1994.